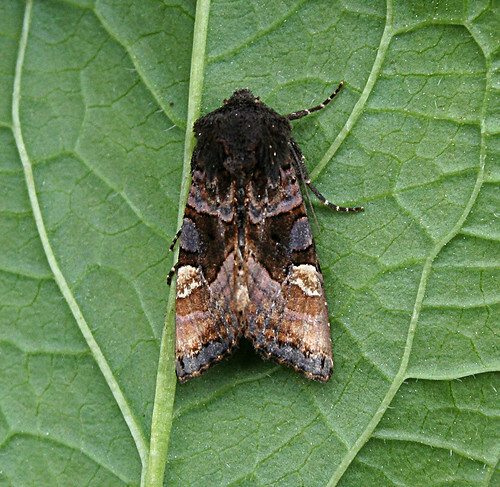 A bumper weekend at Tophill Low NR, East Yorkshire was to be had as several new species were added to the site list. 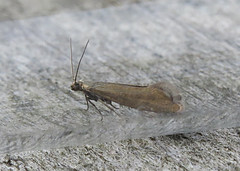 One of the bird dropping lookalikes in the Tortricidae family Endothenia gentianaeana was picked out on Saturday, while on Friday evening, Doug Fairweather photographed this Gracillaria syringella. 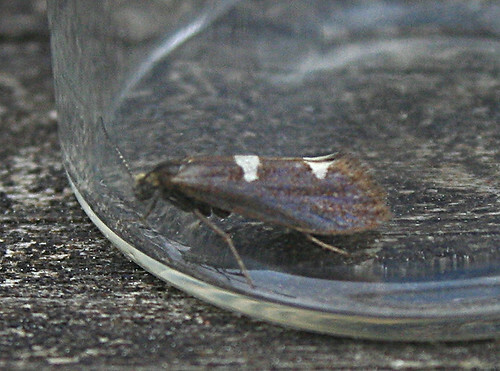 The second record of this species followed on Saturday. 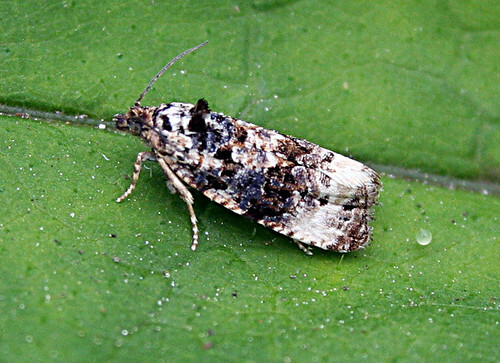 Unfortunately not allowing for a photograph in a natural pose, this Incurvaria masculella was potted on Sunday, and Adela rufimitrella identified from photographs – both further additions to the Lepidoptera list. 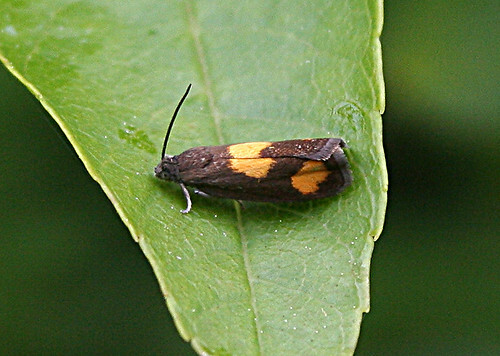 Pammene aurana and Eucosma cana (above) were among some of the other species of micro moths added to the year list. 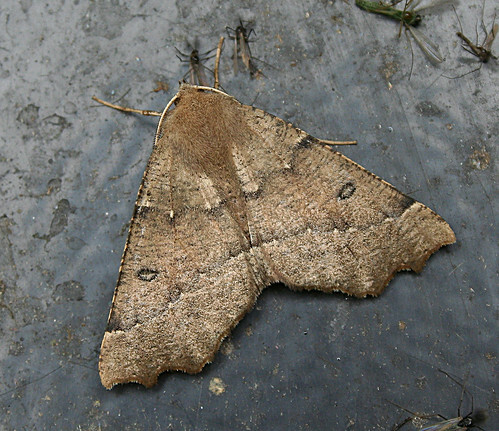 Meanwhile, three nights of moth trapping also provided surprises with the third site record of Scalloped Hazel Odontopera bidentata – singles were recorded in 2001 and 2006, and Small Angle Shades Euplexia lucipara was attracted to light for the first time since 2010. 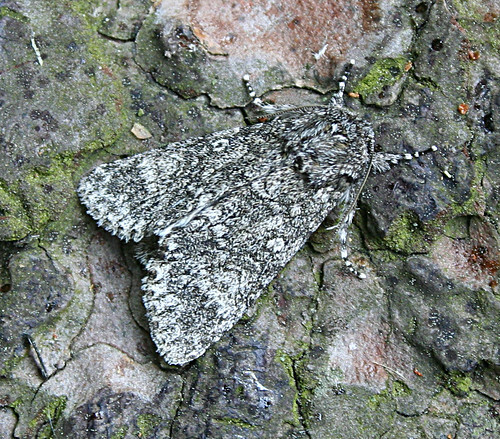 This Poplar Grey Acronicta megacephala made up the best of the rest. 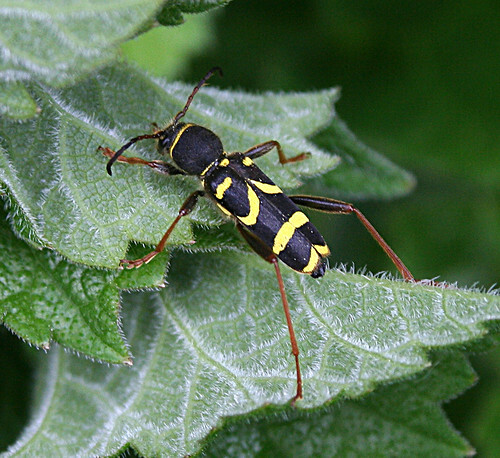 Having been limited to three longhorn beetles for a number of years, this striking Wasp Beetle Clytus arietus became the fourth species to be recorded. 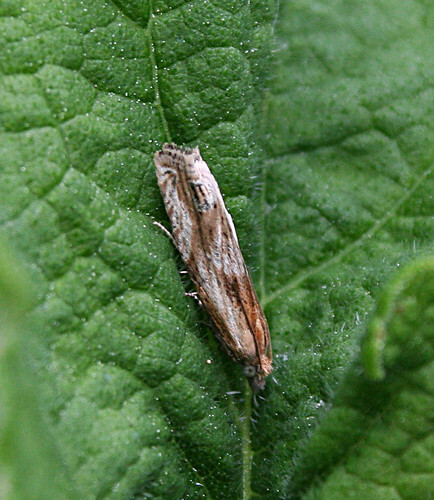 Although common, this the first for Tophill Low NR. 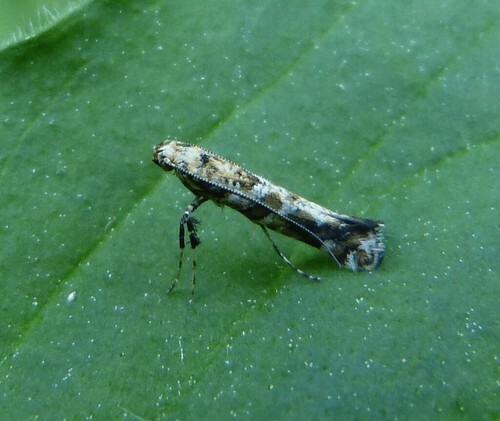 No new species of hoverfly were found for the site, but cold conditions allowed for some better photographic records of Epistrophe eligans. 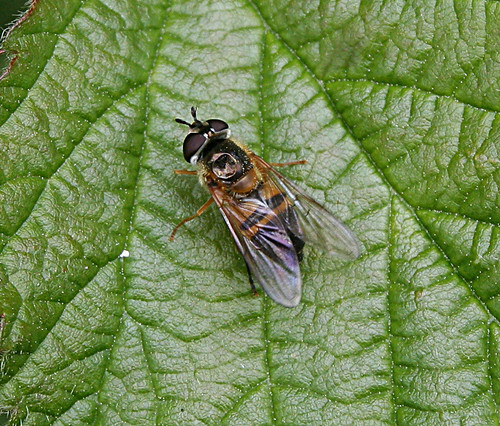 Meanwhile, three Helophilus trivittatus were recorded over the weekend. Scarce on site up until last summer, perhaps this will become a more regular feature of the site fauna. After the sunshine on Friday allowed for an impressive, albeit not record breaking, count of Hairy Dragonfly Brachytron pratense at nearby Leven Canal, the cold weather on Saturday meant there was little to record in the way of Odonata. 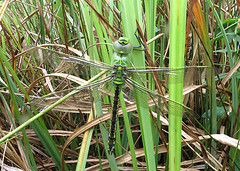 Only four species noted with the count being 362 Azure Damselfly Coenagrion puella, 180 Common Blue Damselfly Enallagma cyathigerum, 9 Blue-tailed Damselfly Ischnura elegans and 6 Red-eyed Damselfly Erythomma najas. A single Large Red Damselfly Pyrrhosoma nymphula was seen Sunday. Fortunately, the birder in me forced me up to the north end of the site to see the third Great White Egret Ardea alba for the reserve on Friday morning before it became slightly more elusive over the weekend… plenty of pictures can be found on the official Tophill Low NR blog, with a full round-up of everything else over the week.